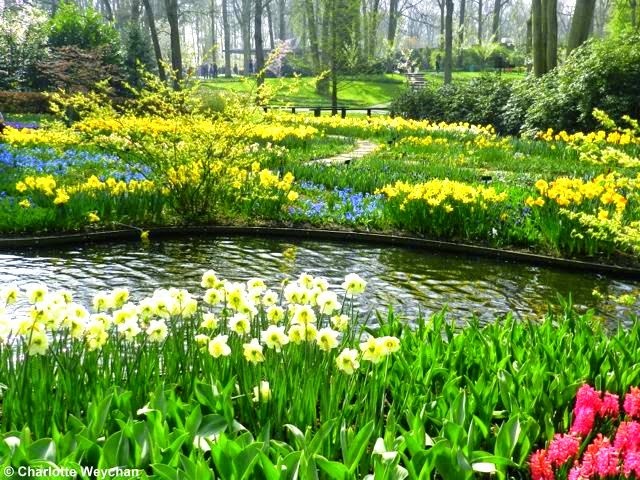 Is Keukenhof the best spring garden in the world? I'm sure readers will have a view on this. 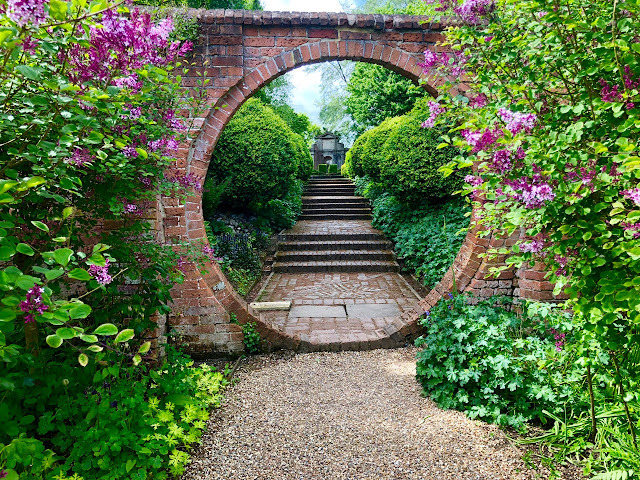 I was lucky enough to visit last week and left with a dizzying array of images depicting the remarkable garden in southern Holland that draws visitors from all over the world. 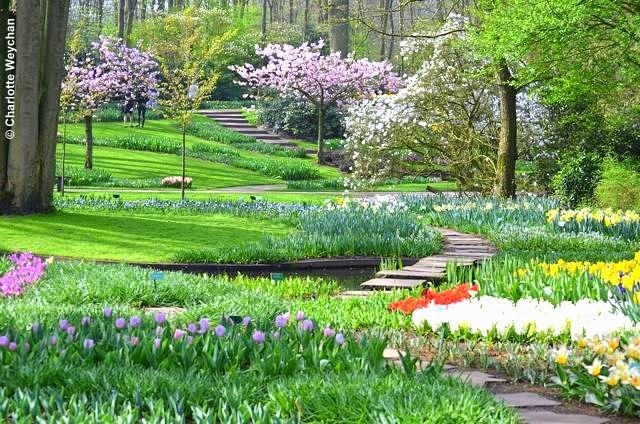 This horticultural mecca opens for just eight weeks each year, but is home to more than seven million bulbs - planted annually - which provide dazzling spring flower displays for the 800,000 visitors who make the pilgrimage to catch a glimpse of the eye candy on offer here between mid-March and mid-May. Late March was a little too early to catch the tulips in full bloom, although there were obvious signs of what to expect in the next few weeks (above). But it didn't matter, because there were great swathes of narcissi and other spring bulbs, spectacular blossoms and signs of spring shrubs about to bloom, including azaleas and rhododendrons. But most impressive of all was the mingled fragrances of the flowering bulbs, notably the hyacinths and the vast array of colours throughout the park. I had no idea what to expect when visiting Keukenhof. This park sits at the heart of Holland's flourishing floriculture industry between the towns of Lisse and Hillegom and I had been told that if you drive there, you will be astounded by the surrounding fields, which are home to the four billion tulip bulbs produced each year by the Dutch. And although the end of March was too early to see these in full bloom, my memories will be of the hyacinths, planted in immaculate rows, with a scent that carries for miles. (For further pictures, click here). 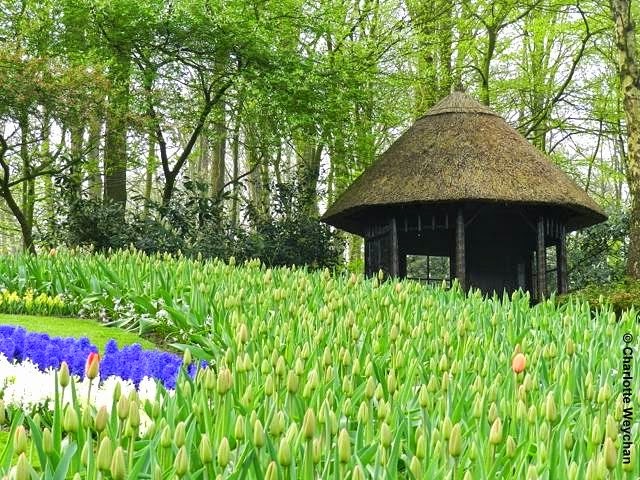 Keukenhof covers some 80 acres (32 hectares) and is actually much more than a garden. 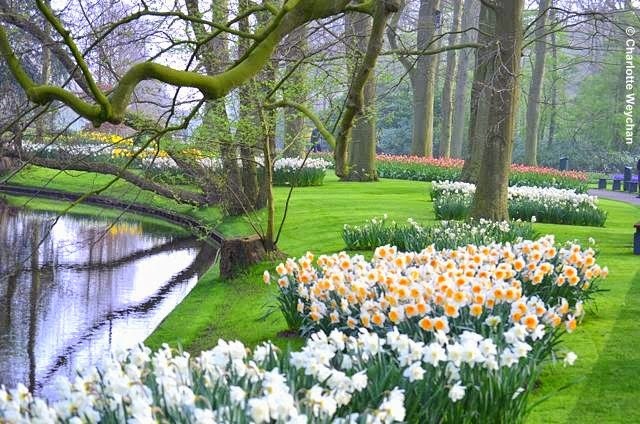 It is a showcase for Dutch bulb growers, who collaborate to create an annual spring spectacle that draws visitors from all over the world. Bulbs are newly-planted every year and the bedding layout at the park is redesigned so that no spring display will ever be the same. 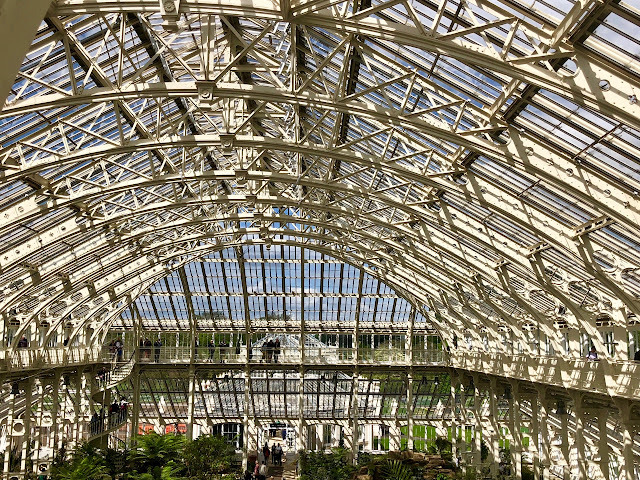 In addition to the parkland, there are also four pavilions within the gardens, showcasing various flowers and plants, with changing themes throughout the two-month opening period. Most of us associate tulips with the Netherlands even though this popular flower did not originate there. Early records show that the tulip was first discovered in the Himalayas and introduced to Turkey by the Seljuks in the 11th century, where it is well documented in different decorative mediums including ceramics and paintings. Some 600 years later, Europe was seized by "tulip mania" as bulb collectors became willing to pay hugely inflated prices for the much-prized plant. Today the Netherlands is the world's largest producer of tulip bulbs, with a land surface area of some 10,000 hectares, providing 4.2 billion bulbs annually. Half of these are exported abroad to garden centres and the remainder leave the country as cut flowers. But it is only when you visit Keukenhof that you realise just how many varieties of tulip there are. There are already some 2,000 different cultivars available and new ones are added each year. 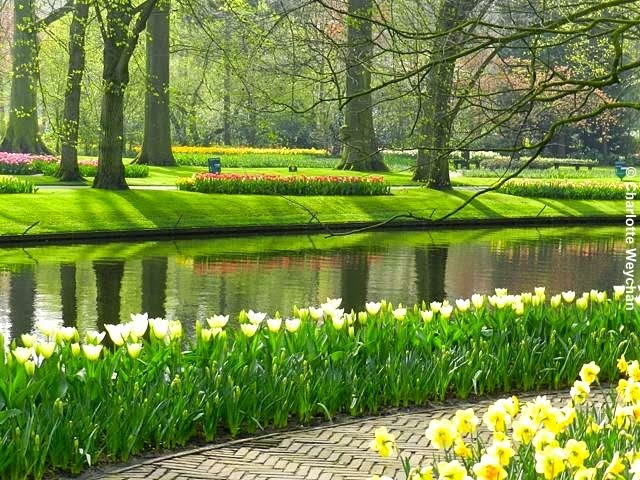 Keukenhof is open daily (08.00-19.30) from mid March to mid May every year. It is within easy reach of Amsterdam, which has excellent rail and flight connections to the rest of Europe, or accessible from any of the northern French channel ports by car. The drive from Dunkirk is less than three hours, thanks to an excellent highway system, and Calais is only slightly further away. Admission to the park is 15 Euros for adults and 7.50 for children (ages 4-11). It truly is beautiful!! Thank you for sharing this lovely spring garden. Oh my! Such beauty in one place. What beautiful spring blooms to be sure. 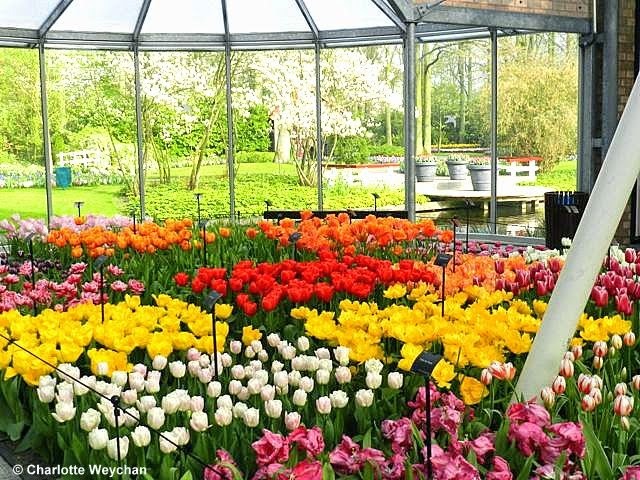 You said it - a showplace for the tulipgrowers. For me a spring garden looks like Sissinghurst and the garden of a friend. I really enjoyed looking at your photos. 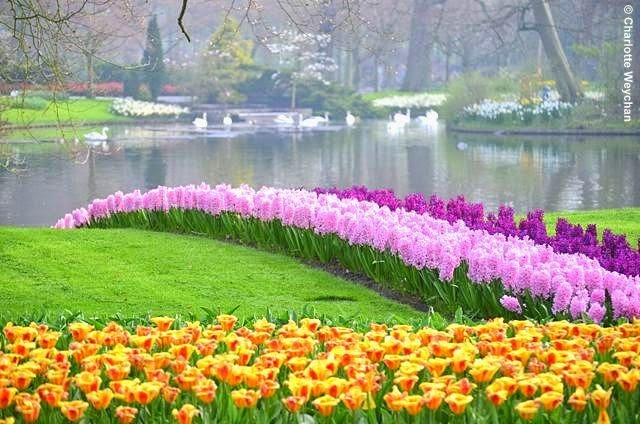 We use to live in The Netherlands and visited Keukenhof every year. It is such a spectacular garden...just dreamy! Amazing, it's like being in a fairytale. Gorgeous gardens. 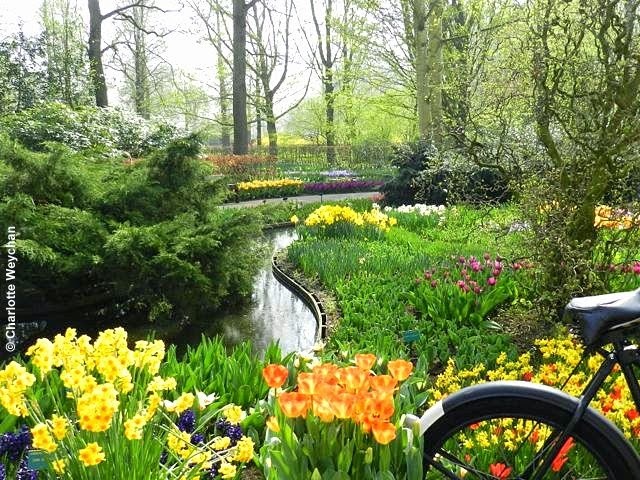 I was in Amsterdam a couple of years ago but it was in the fall and so Keukenhof was not an option. Wow - 7 million bulbs planted annually! I can't even imagine! It truly is gorgeous, though. Visiting Holland in spring is on my wish list of things I'd love to do sometime. It just looks amazing!